Ok, way back in March of 2017, I told you how to be efficient to get all our crafts projects done in time. Now, let's talk about the supplies we need to do them! 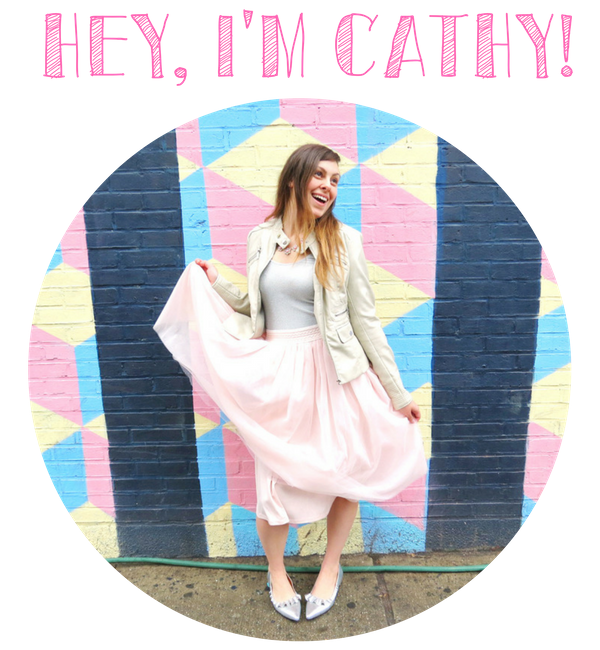 Here are some of my favorite, must-have items in your craft stash. 1. Glue Gun- this one needs no explanation, but I'll give you one. Glue guns are handy for almost everything! They're good for craft projects, sure, but you can also use them for temporary fixes, party decor, etc. I've used it on nearly every project I've done, including my Pineapple Garland, Snowcone Party Hats, and Cotton Candy Garland. I guarantee if you buy one, you'll find a reason to use it. So, go get one! 2. Jewelry Tools- I purchased these for making jewelry once upon a time, but they're just handy to have around. I've used them for several crafts projects already on the blog, like my KS Inspired Bracelets and Wood Bead Tassel Necklace, but they're also good for cutting fake flowers and even for fixing your own jewelry when it breaks! Unlike regular tools, these are smaller, so they're better for tiny objects and precise fixes. 3. Cricut Explore Air- I resisted buying a Cricut for a while, but it's so handy to have! I used it for the Rapunzel lanterns at my Disney Themed Engagement Party, for my sister's Halloween costume, and for my Mean Girls Conversation Hearts. I'll probably be using it for my wedding too! It cuts a whole bunch of materials as well, not just paper and vinyl! It's an investment for sure, but I think it's really fun to have. 4. Paper Cutter- This little gadget is perfect for cutting a straight line. 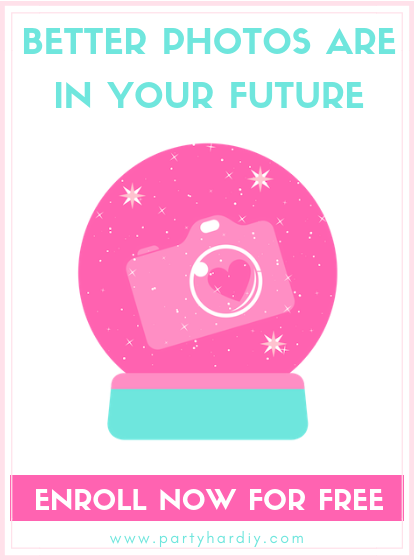 It's great for making banners and cutting out Printables from the internet. I've used it for my TGIF 90's Themed Slumber Party and my Nautical Notecard Birthday Banner. It's easy to use and small to store. Remember those giant paper cutters we had in school that looked like a guillotine? This is a much smaller, safer version of that. 5. Paper Punches (Circle, Heart, Star)- These punches are great to have on hand if you need to spruce up a project. So far I've used them on my Nautical Notecard Birthday Banner and Rock Candy Christmas Trees. They're easy to use and small, so they're easy to store! 6. E6000 Glue and Photosafe Glue Stick - E6000 is my second favorite glue, after glue guns. It adheres to nearly everything! It's a little smelly, so you need to use it with a window open, but it's great. I've used it for my DIY Dollar Store Candy Jars, my Zebra Party Tray and my Circus Animal Drink Stirrers. The photo safe glue stick is great for scrapbooking projects, making cards, and making collages! I used them for my DIY 90' Pun Valentines. 7. Glue Gun Caddy- I actually found this product while creating this blog post, and HAD to buy it. It holds your (hot!) glue gun, glue sticks, and protects your table. It's amazing! Never again will you be holding your half glued project mid-air while trying to remember where you left your glue sticks! 8. Mini Iron- A mini iron is great for small craft or sewing projects. I used it for my Mean Girls Conversation Hearts, the eye masks in my TGIF 90's Themed Slumber Party, and for touching up a wrinkly tablecloth on my Glam Friendsgiving Dinner. It's perfect for iron-ons! 9. Small Scissors and Large Scissors- I love that these scissors are so dang cute. Can we start with that?! I don't need to tell you why scissors are handy, so I'll just say that these small ones are great for when you need to do something precise, like making tassels, since they have pointed blades. These larger ones are great for cutting pieces of paper, cardboard, or other large things that require a straight line. I've used them in nearly every blog post, but they were especially useful for my Cotton Candy Garland and Rock Candy Christmas Trees. 10. Washi Tape- Washi tape has so many fun uses! It's great for temporarily sticking things together, for spicing up a project, or even organizing your planner! I used it to paint my beads for my Wood Bead Tassel Necklace, and it was super handy. 11. Paper Roll- This paper roll is great to avoid making a mess. You just need to pull a sheet long enough to cover your workspace to keep it clean. Ever dripped paint on your desk, or written with a marker that bleeds? This will help prevent them from staining! Sure, you can use newspapers but that means that 1. if you take photos of your project it won't look clean and neat, and 2. you'll have to find the newspapers. I highly recommend having this on hand! 12. Self-Healing Cutting Mat- This is one of my newest purchases. I haven't really used it yet (except as a really pretty backdrop for some craft projects) but it's got a ruler, which is great for measuring projects while working on them. It's also really thick and reversible, so you get twice the use and durability! Plus, the pink is SO much fun. 13. Fringe Scissors- Back when I made my Mini Faux Pintatas, I didn't have a pair of these scissors and I regretted it. They're so handy for making pinatas, fringe, and shredding up paper. It has 5 blades, so it makes more cuts and gets your project done faster! Again, VERY good for when you're making multiple projects at once! 14. Craft Caddy- A craft caddy is great for holding all your supplies and keeping them organized. I highly recommend having a spot that you use to store everything so that you can find it when you need it. There have been so many times that I lost my glue sticks, my paintbrushes, or my paper punches when I needed them. These crafting supplies are only useful when you can actually find and use them (duh). So, be sure to find a place where they can all stay together, like one big happy crafting family. 15. Paintbrushes and Paint Tray- These paintbrushes have a variety of uses! It's great to have multiple sizes so that you can do broad strokes quickly, but also have a nice thin one when you need to be more detailed. I really should invest in a new paint palette because mine is old and full of dried paint ("invest" = probably $3!) but paint palettes are really useful for pouring out just a little bit of paint or mixing colors. I've used paintbrushes on so many projects, including my DIY Donut Party Platter, my Colorful Leaf Garland, and my Circus Animal Drink Stirrers. I know what you're thinking- craft supplies can be expensive! I recommend adding a few items at a time, or using coupons! Michael's has plenty of sales and coupons you can use. There's also stores like A.C. Moore, Jo-Ann Fabric & Crafts, and Hobby Lobby. If you want to save even more, your local dollar store and even Walmart has a huge craft selection for cheap! Target also has some craft supplies, but not as many as Walmart. However, Target has some really CUTE stuff! Start small and keep adding more over time. Your crafting empire wasn't built in a day, right? Do you already have a craft stash? What's in it? What can you NOT live without? I think for me, it's my glue gun. I even have one at work! Let me know your faves in the comments below. You know how it goes. You're planning a party and have spent hours scouring the internet for the best ideas. You've got a whole list of projects and you're determined to throw the very best party anyone has ever seen. Ever! But, by the time party day comes around, you are scrambling. What happened between that day you were planning and had "so much time!" and today? Probably all the DIY projects you didn't leave yourself enough time for! Although these DIY projects may seem easy, they can be very time consuming, especially when you're doing several of them. 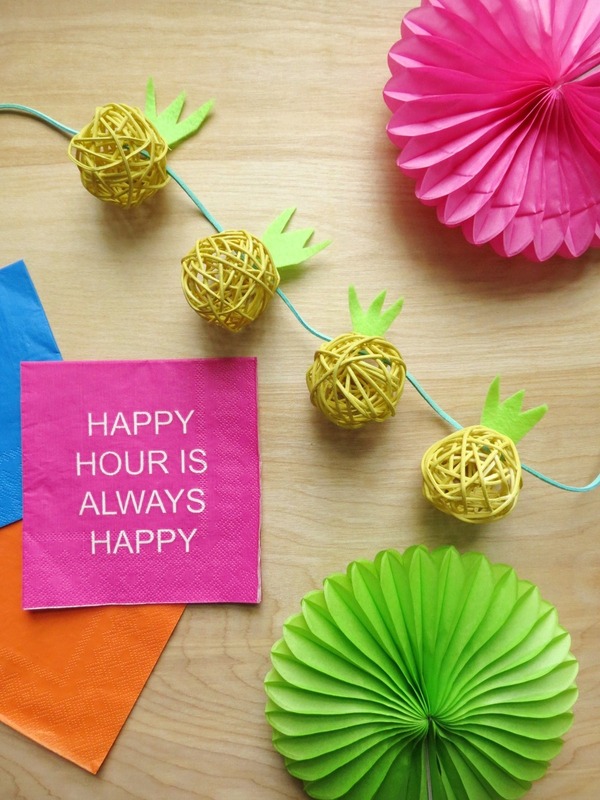 Here are some tips to ensure you have the DIY party of your dreams! Pick 1-2 must-do projects, 2-3 like-to-do projects and 1-2 if-I-have-time projects. This way, you can do as many projects as you have time for without sacrificing the projects you want to do most. If you want to make a lot of projects and have crafty friends, invite them over! Be sure you have all the supplies on hand, then get some snacks, a bottle of wine, and start crafting. You can make more projects in a fraction of the time. Plus, it's a fun bonding experience! Ok, maybe you're not the best cake decorator. Instead of trying to do it yourself (and possibly failing), how about having a friend assist? Ask around and see if anyone can come take on some tasks. They'll probably enjoy it! Just be sure to give them a deadline and follow up to make sure it gets done. The last thing you need is to be left scrambling on party day! Don't leave it until the last minute. The best thing you can have when it comes to DIY projects is time. Leave a few weeks to work on your projects to ensure they come out nicely and get done in time. Believe me when I tell you that things can take longer than you think! To get the most out of your time spent crafting, try to make as many of each project as you can per session. This way you won't end up taking supplies in and out or wasting paint, etc. You'll also get into the rhythm of it, and be able to make them much faster than if you start and stop, making 2 projects at a time. On that same note, don't wait until you have a large block of time to start on projects. If all you have are short periods of downtime, use them! It's better to work on 1-2 items per day than trying to rush everything into one day, right? I always love to pop on my favorite movie or TV show, grab a TV table, and whip up some crafts projects while I watch TV. Sometimes it's easier to batch your projects- aka doing "like" projects at the same time. What does this mean? Painting all your beads at once, cutting out all your shapes in one sitting, or gluing everything together. This will help you to find the most efficient way to do each step through repetition. Yes, you want this project to come out perfectly. But does it have to? If you spend too much time perfecting each project, you'll be missing out on valuable time you could be spending on other projects! This is especially important when you have others helping. Allow yourself to delegate and don't spend time micromanaging everyone. It's supposed to be fun! Create a shopping checklist so that you can avoid multiple trips to the store. A quick way to derail your productivity is to stop midway because you forgot something you needed. Been there... done that! 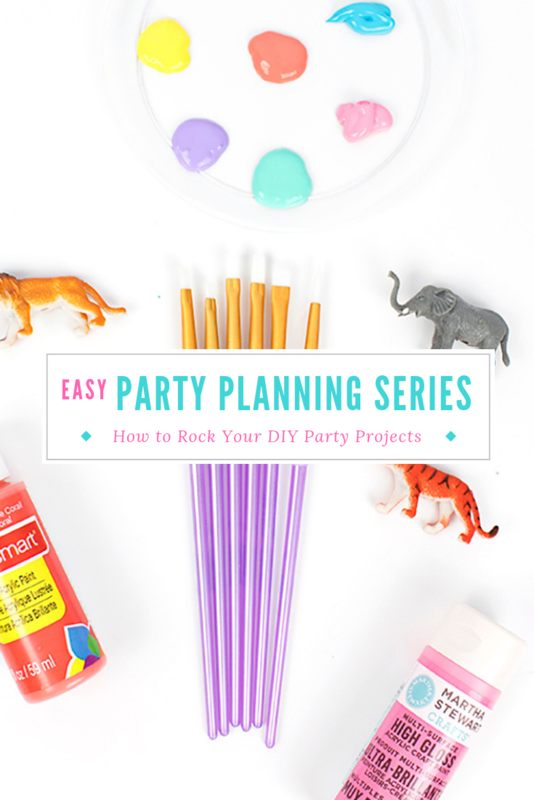 Have you ever attempted a DIY party project at the last minute, and then realized you were in WAY over your head? Let me know in the comments below!